EQA (Ireland) would like to congratulate European Metal Recycling Ltd on their recent certification of their Quality management system to ISO 9001:2015. A Certificate was awarded with scope “Acceptance, Processing and Dispatch of Grades 3B- ‘Shredded’, 4C, 8B, OA – ‘Plate and Girder’ / ‘Bonus’ and HMS 1 & 2 in compliance with EU 333/2011”. EQA (Ireland) would like to congratulate Hendrick Ryan Consulting Engineers of Co Dublin on the recent certification of their Integrated management system to ISO 9001:2015(Quality Management). A Certificate was awarded with scope “Civil and Structural Consulting Engineers “. EQA (Ireland) would like to congratulate Allied Ireland of Co Dublin on the recent certification of their Integrated management system to ISO 9001:2015(Quality Management), ISO 14001:2015 (Environmental Management) and OHSAS 18001:2007(Health and Safety Management). A Certificate was awarded with scope “Installation of Glazed Partition Systems, Washroom & Locker Systems and Industrial Storage Solutions.”. EQA (Ireland) would like to congratulate Denis Mahony M50 of Co Dublin on the recent certification of their management system to ISO 9001:2015(Quality Management). A Certificate was awarded with scope “Sale of Cars, Aftersales Service & Repairs and Sales of Parts & Accessories”. EQA (Ireland) would like to congratulate DB Schenker of Co Dublin on the recent certification of their management system to ISO 9001:2015(Quality Management) and ISO 14001:2015(Environmental Management). A Certificate was awarded with scope “Warehousing and Associated Logistics Management”. EQA (Ireland) would like to congratulate Tandem Project Management of Co Cork on the recent certification of their management system to ISO 9001:2015(Quality Management). A Certificate was awarded with scope “Design, Project Management, Construction Management, Health & Safety, Consultancy and Recruitment Services.”. EQA (Ireland) would like to congratulate Liquid Solutions Manufacturing Worldwide Ltd of Co Waterford on the recent certification of their management system to ISO 9001:2015(Quality Management). A Certificate was awarded with scope “Manufacture of E-juice for use in electronic cigarettes. Sales and Distribution of electronic cigarette hardware.”. EQA (Ireland) would like to congratulate City Analysts Limited of Co Clare and Co Dublin on the recent certification of their management system to ISO 14001:2015(Environmental Management) and OHSAS 18001:2007 (Occupational Health and Safety). A Certificate was awarded with scope “Environmental Analysis of Water, Soil and Food”. EQA (Ireland) would like to congratulate Printglaze Ltd of Co Dublin on the recent certification of their management system to ISO 9001:2015(Quality Management). A Certificate was awarded with scope “Provision of Print Finishing Services”. EQA (Ireland) would like to congratulate Casey O’Rourke Associates of Co Dublin on the recent certification of their management system to ISO 9001:2015(Quality Management), ISO 14001:2015 (Environmental Management) and OHSAS 18001:2007 (Occupational Health and Safety). A Certificate was awarded with scope “Provision of Civil and Structural Consulting Engineering.”. EQA (Ireland) would like to congratulate InControl Ltd. T/A DFM Systems of Co Dublin on the recent certification of their management system to ISO 9001:2015(Quality Management). A Certificate was awarded with scope “The provision of digital project information and handover documentation for the lifecycle of a Building / Facility”. EQA (Ireland) would like to congratulate Team Hygiene Ltd of Co Meath on the recent certification of their management system to ISO 9001:2015(Quality Management). A Certificate was awarded with scope “Delivery Sales, Service, Training, Commissioning and Maintenance of Chemical Proportioning Equipment. Sales & Supply of Chemicals and Facility Management Consumables”. EQA (Ireland) would like to congratulate A1 Drain Repairs of Co Mayo on the recent certification of their management system to ISO 9001:2015(Quality Management), ISO 14001:2015 (Environmental Management). A Certificate was awarded with scope “Pipe & Drain Surveying, Inspection, Repair and Renovation Services”. EQA (Ireland) would like to congratulate Glenbeigh Construction of Co Dublin on the recent certification of their management system to ISO 9001:2008(Quality Management), ISO 14001:2004 (Environmental Management) and OHSAS 18001:2007 . A Certificate was awarded with scope “Construction works including management of design and build contracts”. EQA (Ireland) would like to congratulate Duncan Fencing of Co Cork on the recent certification of their management system to ISO 9001:2015(Quality Management). A Certificate was awarded with scope “Supply & Installation of Fencing”. EQA (Ireland) would like to congratulate Alpack Ltd of Dublin on the recent certification of their management system to ISO 9001:2015(Quality Management). A Certificate was awarded with scope “Supply of Jam Jar Lids, Glass Jars, Honey Jars, Storage Jars and Bottles, Cardboard Boxes, Plastic Buckets, Tubs and Gift Packaging; Design and Conversion of Polystyrene and Cardboard Packaging for Ireland and UK markets.”. EQA (Ireland) would like to congratulate Waterlogic Ltd of Dublin on the recent certification of their management system to ISO 9001:2008(Quality Management). A Certificate was awarded with scope “Provision, Installation & Total Care of mains fed Water Dispensers & work place Drink Machines”. EQA (Ireland) would like to congratulate PN Graphics of Dublin on the recent certification of their management system to ISO 9001:2015(Quality Management). A Certificate was awarded with scope “Design of Artwork & Supply of Flexographic plates to the printing industry”. EQA (Ireland) would like to congratulate Thornton Haulage Ltd. T/A WindTranz of Co Kerry on the recent certification of their management system to ISO 9001:2008(Quality Management). A Certificate was awarded with scope “The provision of transportation and warehousing of equipment and components for the wind industry.”. EQA (Ireland) would like to congratulate Reamda Ltd of Co Kerry on the recent certification of their management system to ISO 9001:2015(Quality Management). A Certificate was awarded with scope “The Design, Development and Supply of Military & Engineering Products to National and International Markets”. EQA (Ireland) would like to congratulate SaleSense International of Co Louth on the recent certification of their management system to ISO 9001:2015(Quality Management). A Certificate was awarded with scope “Omni Channel Engagement Centre”. EQA (Ireland) would like to congratulate Dawn Paper & Tissue Management Ltd of Co Meath on the recent certification of their management system to ISO 9001:2015(Quality Management). for Supermarkets, Cash & Carrys, Distributors, Food Services & Hygiene Sectors”. EQA (Ireland) would like to congratulate Gemini Surgical Innovations Ltd of Co Wicklow on the recent certification of their management system to ISO 9001:2008(Quality Management). A Certificate was awarded with scope “Sales, Supply and Servicing of Medical Equipment”. EQA (Ireland) would like to congratulate EVM Direct Ltd of the United Kingdom on the recent certification of their management system to ISO 9001:2008(Quality Management). A Certificate was awarded with scope “Sales, Delivery & Aftersales of Mini Buses”. EQA (Ireland) would like to congratulate Digicom of Dublin on the recent certification of their management system to ISO 9001:2015(Quality Management). A Certificate was awarded with scope “Provision, Installation and Maintenance of Audio Visual and Office Technology Solutions”. EQA (Ireland) would like to congratulate Chartered Institute of Logistics and Transport of Dublin on the recent certification of their management system to ISO 9001:2015(Quality Management). A Certificate was awarded with scope “Professional Body for the Supply Chain, Logistics and Transport industry”. EQA (Ireland) would like to congratulate Spectrum Instruments Ltd of Limerick on the recent certification of their management system to ISO 9001:2015(Quality Management). A Certificate was awarded with scope “Design, Production and sales of scanning probe microscopy (SPM) equipment and accessories.”. 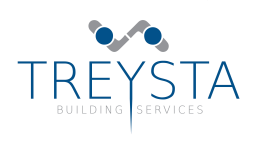 EQA (Ireland) would like to congratulate Treysta Building Services Ltd of Dublin on the recent certification of their management system to ISO 9001:2015(Quality Management), ISO 14001:2015( Environmental ) and OHSAS 18001:2007(Health & Safety) . A Certificate was awarded with scope “Mechanical and Electrical Services & Project Management”. EQA (Ireland) would like to congratulate Codec-Dss of Dublin on the recent certification of their management system to ISO 9001:2008(Quality Management). A Certificate was awarded with scope “Service Desk and Project Management”. EQA (Ireland) would like to congratulate Architectural Steel and Mechanical Services Ltd of Co Cork on the recent certification of their management system to ISO 9001:2015 (Quality Management) and ISO 14001:2007(Environmental). Certificates were awarded with scope “Architectural Steel and Manufacturing Services Ltd”. EQA (Ireland) would like to congratulate Catering Disposables Ltd of Co Dublin on the recent certification of their management system to ISO 9001:2008 (Quality Management). A Certificate was awarded with scope “Supplier of Disposable Products”. EQA (Ireland) would like to congratulate RMI Engineering Ltd on the recent certification of their management system to ISO 9001:2008 (Quality Management). EQA (Ireland) would like to congratulate Dermot Casey Tree Care Ltd on the recent certification of their management system to ISO 9001:2008 (Quality Management), ISO 14001:2004(Environmental) and OHSAS 18001:2007 (Health & Safety). Certificates were awarded with scope “Commercial and Residential Tree Care & Tree Surgery”. EQA (Ireland) would like to congratulate P&D Lydon of Co Mayo on the recent certification of their management system to ISO 9001:2008 (Quality Management), ISO 14001:2004(Environmental) and OHSAS 18001:2007 (Health & Safety). Certificates were awarded with scope “Plant Hire and Civil Engineering Works”. P&D Lydon Plant Hire Ltd is one of Ireland’s most progressive civil engineering contractors with a comprehensive fleet of modern construction plant and equipment. Formed in 1999, having previously traded as a partnership, we operate from sites throughout the country with our head office in Cross, Co. Mayo. 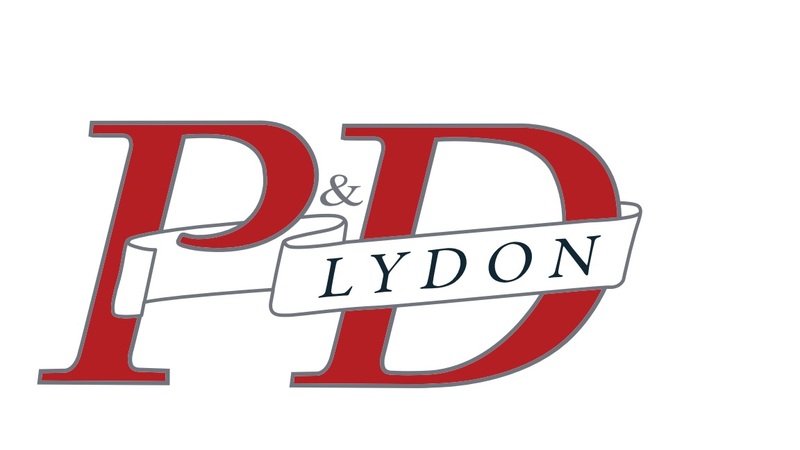 P&D Lydon have successfully completed major projects to the highest standards of quality and safety for clients across all sectors. We maintain a strong skills base of managers, professional engineers and skilled personnel. We adopt a team approach and focus on value engineering and innovation in order to achieve best value for our clients. EQA (Ireland) would like to congratulate Golden Quality Inspection Ltd of Co Limerick on the recent certification of their management system to ISO 9001 (Quality Management). Certificates were awarded with scope “Non Destructive Testing, Inspection Monitoring and Inspection Project Management”. EQA (Ireland) Ltd. would like to congratulate Aserve Investigators Ltd of County Westmeath on their recent certification to ISO 9001:2008 with scope “Investigators and Process Servers for the Financial, Legal and Insurance Industries”. We are confident that Aserve Investigators Ltd will find certification to this standard as an invaluable management tool for their future success. Aserve Investigators Limited – Provides ancillary services to the Legal, Financial, and Insurance Industries. We specialise in Summons Serving, Tracing Inquiries, Asset Tracing & Lifestyle/Status Reports, Insurance Investigations. ISO 9001:2008 Quality Approved Company. Our guiding principles are: Data Protection, Confidentiality, and Compliance with Legislation. EQA (Ireland) Ltd. would like to congratulate T Connolly & Sons Ltd of Roscommon on their recent certification to ISO 9001:2008, ISO 14001:2004 and OHSAS 18001:2007 with scope “Building Contractors”. We are confident that T Connolly & Sons Ltd will find certification to this standard as an invaluable management tool for their future success. TCSL – T. Connolly & Sons Ltd. are a Construction company founded in 1976 by Thomas Connolly, For four decades TCSL has a built a reputation for very high quality standards of work whilst delivering projects on time and within budget we place a large emphasis on teamwork and developing our employees, some of our key employees have been with us for nearly thirty years ensuring continuity in our work practices and a shared knowledge and experience which is passed on to any new employees. TCSL have a personal “hands on” approach to contracts which always creates a high level of trust and integrity between ourselves, the clients, design teams and our suppliers and sub-contractors.’. EQA (Ireland) Ltd. would like to congratulate Anglo Production Processes of Worcestershire, UK on their recent certification to ISO 9001:2008 with scope “Supply and Service of Equipment to the Life Sceince and Electronics Industries”. We are confident that Anglo Production Processes Ltd will find certification to this standard as an invaluable management tool for their future success. APP – ‘Supplying Technical solutions to the UK Life Science and Electronics Manufacturing industries’. EQA (Ireland) Ltd. would like to congratulate Aaron Refrigeration of Ballinteer, Co. Dublin on their recent certification to ISO 9001:2008 with scope “Supply, Maintenance and Services of Commercial Refrigeration and Air Conditioning Systems”. We are confident that Aaron Refrigeration Ltd will find certification to this standard as an invaluable management tool for their future success. EQA (Ireland) Ltd. would like to congratulate Whoriskey Heating Oils of Ramelton, Co. Donegal on their recent certification to ISO 9001:2008, ISO 14001:2004 and OHSAS 18001:2007 with scope “Distribution of Home Heating Oil”. We are confident that Whoriskey Heating Oils will find certification to this standard as an invaluable management tool for their future success. EQA (Ireland) Ltd. would like to congratulate Tara Cladding Limited of Raheenagh, Co. Limerick on their recent certification to ISO 9001 with scope “Metal Fabrication & Finishing including Roof & Wall Cladding, Flashings, Gutters and Shuttering”. We are confident that Tara Cladding Ltd will find certification to this standard as an invaluable management tool for their future success. EQA (Ireland) Ltd. would like to congratulate Midland Cladding & Steel Services Ltd of Kilbeggan, Co. Westmeath on their recent certification to ISO 9001 with scope “Production of Sheet Profile & Cladding Products”. We are confident that Midland Cladding & Steel Services Ltd will find certification to this standard as an invaluable management tool for their future success. EQA (Ireland) would like to congratulate Accent Solutions of Glasnevin, Dublin 11 on the recent certification of their management system to ISO 9001 (Quality Management), ISO 14001 (Environmental Management System) and OHSAS 18001 (Occupational Health & Safety Management System). Certificates were awarded with scope “Facilities Management, Building Management Systems and Soft Services”. EQA (Ireland) Limited would like to welcome ACE Corrugated Ltd of Bailieboro in Co. Cavan to the register of clients certified to ISO 9001:2008. ACE Corrugated Ltd certificate was issued with scope wording “Design, Development, Manufacturing, Sale & Supply of Printed and Plain Corrugated and Solid Board Packaging”. We look forward to working with Ace Corrugated for the foreseeable future.